I was super excited to try this new breakfast after seeing many health bloggers rave about it on social media. I ran out to Whole Foods Market (the only place that sells frozen *Sambazon Acai packets) to be able to come home and try it out. I followed the simple recipe instructions by blending the frozen unsweetened acai packet with a banana and a handful of berries. The consistency was creamy as I poured it into a bowl. I decided for my first time to keep my toppings to a minimum so I sprinkled some unsweetened coconut flakes, sliced kiwi, and some slivered almonds on the top. The taste of acai is amazing with and without the toppings. I was hooked after my first few bites! 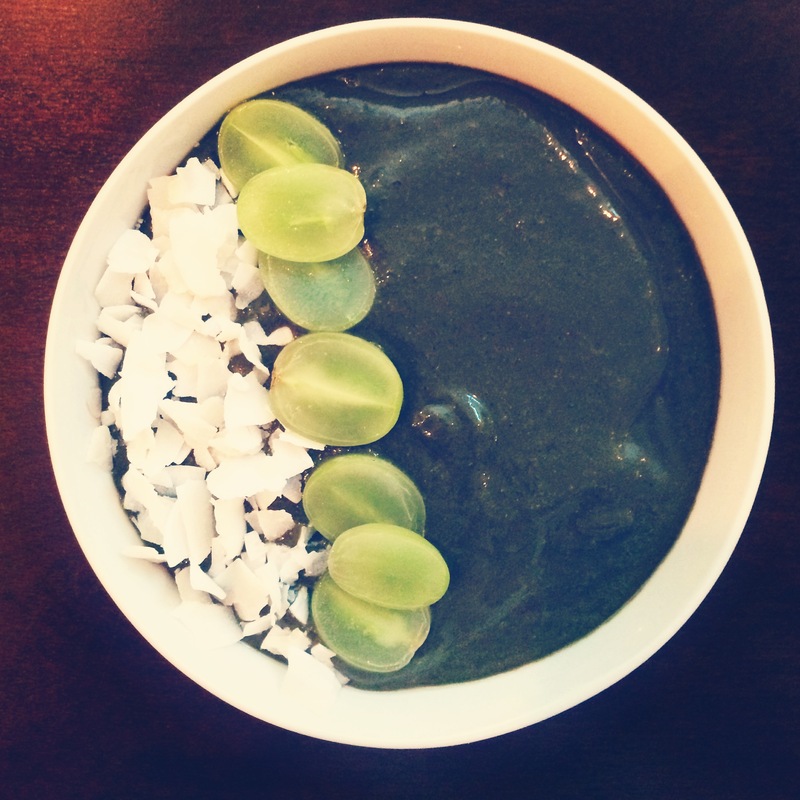 Like green smoothies, acai bowls can be made in a million different ways to change the flavor and texture. I have also found that just adding an acai packet to my green smoothie adds an amazing boost of flavor. This product is so versatile and PACKED with antioxidants. It couldn’t be more perfect to have on a hot summer morning!